KanaVape is the first hemp electronic cigarette. True to the original flavour while avoiding the combustion and smell, KanaVape brings you a premium CBD e-liquid without the psychoactive effect of THC. Stay relaxed, keep a clear mind and an active lifestyle with KanaVape – anytime, anywhere! What are the ingredients in KanaVape e-liquid? KanaVape contains hemp e-liquid with 5% CBD. We combine hemp oil with propylene glycol to enhance flavour and provide the best quality and experience. KanaVape cannot be compared to a marijuana vaporizer, a cannabis ecigarette or a "e-joint", because it does not contain THC, and it is made from certified hemp. This product does not have any psychoactive or euphoric effect. It should not be considered as a way to reduce pain, treat or cure any disease. Consult your physician before using any electronic cigarette product. Cannabidiol (CBD) and hemp are not listed in the Convention on Psychotropic Substances, the United Nations treaty designed to control psychoactive drugs, which has been signed by 183 countries. Contrary to THC and marijuana which are mentioned in the Convention. Hemp has traditionally been grown legally in Europe for thousands of years. KanaVape uses only certified industrial hemp, containing less than 0.2% THC – the legal limit. Can I use KanaVape anywhere? KanaVape does not smell of hemp and does not burn, so it may be used in places where electronic cigarettes are allowed. KanaVape cartridges supply approximately 200+ puffs depending on the user. Actual results may vary from individual to individual, depending on how the product is used. KanaVape vaporizer works with a small rechargeable battery and a disposable cartridge containing our unique hemp e-liquid. When you inhale, it activates the cartridge, which vaporizes the e-liquid. What exactly is a vaporizer / e-cigarette? When you inhale, the vaporizer’s battery is activated. This heats up the hemp oil (without burning it), and the hemp is then converted into a vapour. You simply inhale and then exhale this vapour. KanaVape has an LED light that glows white when you inhale to let you know the product is working. With vaporization, you get less combustion-generated toxins inhaled than when smoking. However, we don't recommend taking up e-cigarette use if you don't currently smoke. KanaVape should not be used by children, pregnant or breastfeeding women, people with a heart condition, high blood pressure or diabetes. Consult your physician before using an electronic cigarette product. Why do you use Propylene glycol? We are constantly searching for ways to improve the flavours we offer. Propylene glycol, when combined with hemp extract, enhances flavour. Propylene glycol is commonly used in electronic cigarettes as a base carrier and to help blend flavour ingredients. There might be very individualized personal conditions that result in a highly sensitive reaction to any kind of chemical substance. If you experience an allergic reaction while using any of our products, please discontinue use and consult with your personal physician for medical advice. CBD (also referred to as Cannabidiol) is the main ingredient found in our hemp e-liquid. Its effects are very different to those caused by the THC found in marijuana, and because it is not a psychoactive substance, it is legal in most of the world. The most noticeable difference is the way they act on the body. CBD does not interfere with the user’s psyche: it does not make people "high". Another difference is that CBD from hemp is legal in most countries around the world, whereas THC is not. No. CBD is not psychoactive, meaning it will not make you "high". 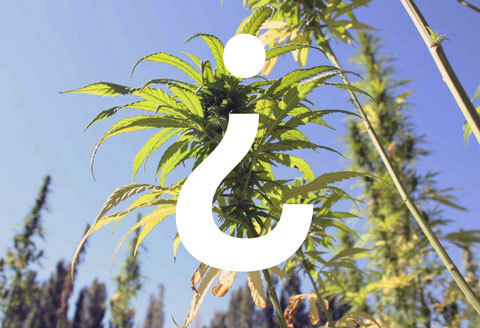 Once ingested, it takes different pathways than THC. THC binds with the brain’s highly abundant CB1 receptors, which deliver the psychoactive effects of THC. CBD is legal throughout most of the world because it doesn’t make you “high”. Where exactly do you get your CBD? Our CBD comes from our organic hemp fields. Natural extraction of the hemp which is then transformed into oil allows us to give our customers measured and effective amounts of CBD. Creating our CBD oil from hemp also means that we do not need to remove psychoactive ingredients from our products: they were never there in the first place. How do you extract CBD from hemp? Our laboratory uses CO2 extraction system, which is considered to be the best method of extracting hemp. Combined with our natural growing process and our science team’s experience, our extraction process is made to obtain the most qualitative form of hemp e-liquid possible. Today, a lot of people are smoking without knowledge of what exactly they are consuming. This situation is not one we find acceptable because it puts a lot of people at risk unnecessarily. KanaVape is a quality-controlled and legal product, a connection between nature, tradition and science to deliver only the best of the plant. KanaVape is a French-Czech company and our goal is to provide a legal, natural and tasteful way of using hemp. Our team has more than 10 years of experience with hemp and cannabinoids. We put a lot of love into our organic hemp fields – because nature and sustainability are key to us. Our family farms – located in the Czech Republic, France and Spain – do not use chemicals or synthetic pesticides. 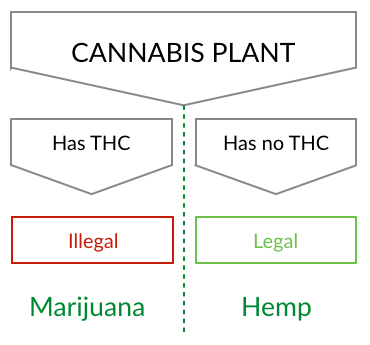 What is the difference between legal and illegal cannabis? The cannabis plant has been selectively bred for for hundreds of years. This led to the rise of two Cannabis "families": Marijuana and Hemp. Some chose to focus on the « spiritual » use of cannabis, and developed strains with a high level of psychoactive compounds. Hemp is the name used to refer to the « industrial use » of cannabis: clothes, paper, tea, salt... Hemp is legally grown in 30 countries around the world, and its main characteristics is that hemp contains really low (and therefore authorized) levels of THC, which makes it legal in most of the world.